Memo Shows Wilbur Ross Lied About Census Question - Joe.My.God. 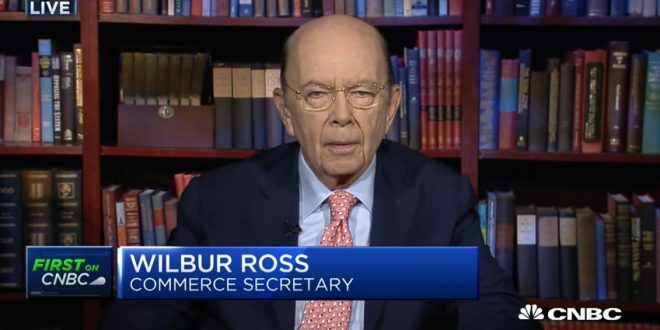 Department of Commerce Secretary Wilbur Ross told Congress earlier this year that he added a citizenship question to the 2020 census to help the Department of Justice enforce the Voting Rights Act. “I spoke several times with James McHenry by phone, and after considering the matter further James said that Justice staff did not want to raise the question given the difficulties Justice was encountering in the press at the time (the whole Comey matter),” the memo states. The Census Bureau’s chief scientist, other researchers, and a bureau-sponsored marketing campaign have found that including the citizenship question depresses the participation of Latinos, Asians, and other minorities, skewing the constitutionally mandated decennial head count. Ross “personally lobbied the attorney general to submit the memorandum that the secretary ‘then later relied on to justify his decision,'” plaintiffs’ lawyers argued in the lawsuit, one of six around the country seeking to strike the citizenship question. U.S. District Judge Jesse Furman, who’s overseeing the lawsuit in Manhattan, had ordered the Trump administration to release the unredacted memos, saying they “go to the heart” of the central question of Ross’ intent in adding the citizenship question. New York state’s lawsuit against the census question is scheduled to be heard on November 5th.